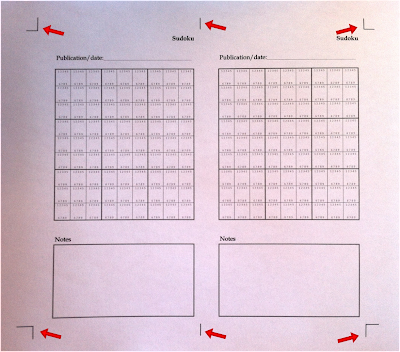 I've made a number of Personal page templates for the Filofax on A4 paper. 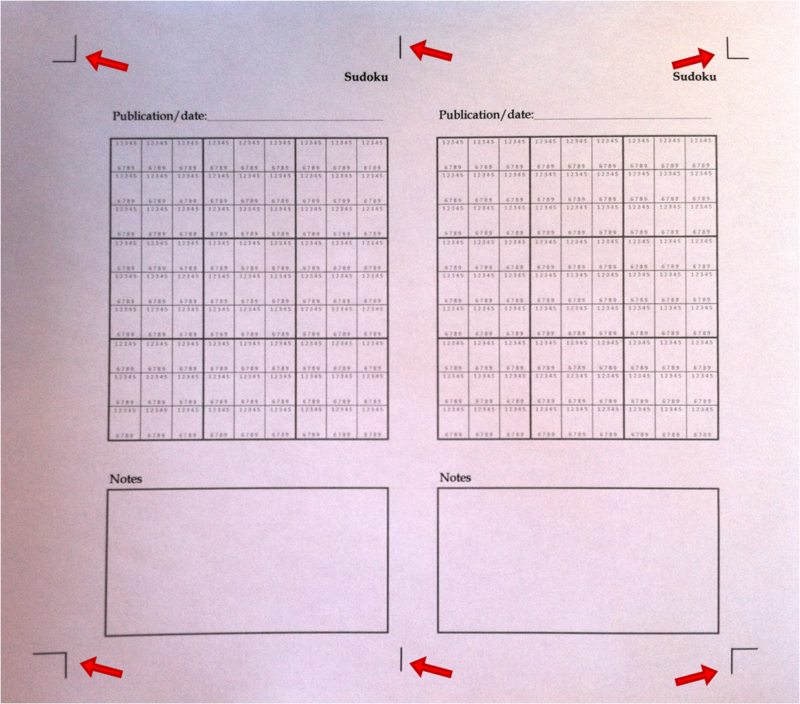 The idea is that these should be printed and then the Personal pages cut out. But I've never given detailed instructions for how to do this, so if you were wondering, you need wonder no more. You need to start with one of my templates. I'll be using the Sudoku page as an example. Those crop marks indicate where you need to cut. You need to cut with a sharp craft knife and you need to use a steel ruler to guide your cuts. If you cut right to the edge you will lose the remaining marks that you need to position the ruler for other cuts. You can now punch and file these pages. Any tips for using a craft knife? Or am I using it wrongly? For some reason all the blades seem to be for left-handers. I hold the ruler down with my left hand, and with my right, I cut along the right edge of the ruler. I've to cut away from me (otherwise the blade faces the wrong way and I end up shaving little slivers off the ruler). It's hard to describe, but I angle the blade slightly to the flat side lies against the ruler rather than the cutting edge. I never did get my head round printing for the personal size, so that's great. Can i recommend using not a craft knife which can be difficult but a rotary cutter which is sold for quilters and a quilting ruler. The rotary cutter is a sort of cross between a pizza wheel and a craft knife. Cutting multiple sheets of paper with one is easy. I'll give that a try. Thanks, Helen. 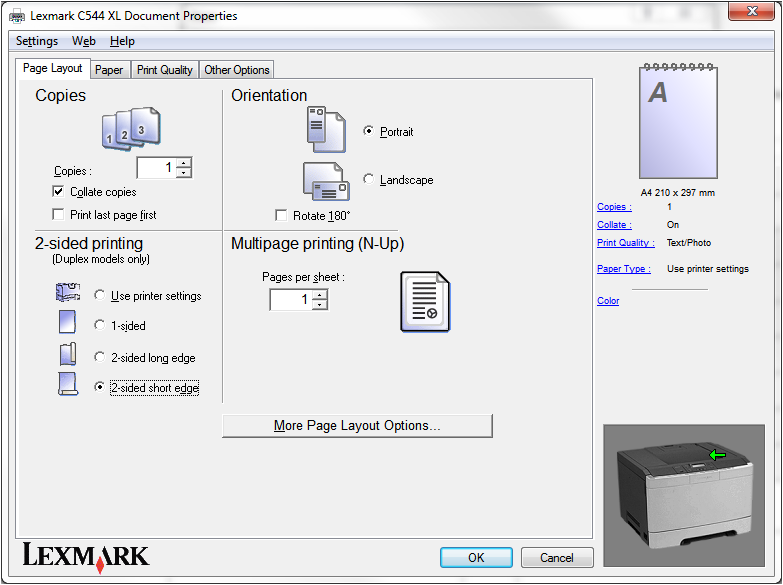 Hi, I would like to print the inserts you created for the personal size. Do I need to follow these directions or can I just press print on regular paper in MS Word? What do you mean by 'regular paper'? I see. I wondered if you meant personal sized Filofax paper. The paper you're talking about is US Letter size. It is regular in North America, whereas in Europe we view A4 as regular. The sizes are close, but different enough to cause difficulties. 1. Print one page onto Letter paper, making sure that the settings are not set to scale to paper size. This should print the pages at the right size. 2. Now try a double-sided print, setting it to flip on the short edge. My guess is that the two sides will not properly align. 3. If I guessed right, what you now need to do is change the page layout in Word to Letter paper and try again. 4. If the front and back are still misaligned, then group all the objects on each page and relative to the page, centre them both vertically and horizontally, then try again. 5. If you still have no luck, then try to find an online source for A4 paper. Thanks for the suggestion. I found reasonably priced A4 paper on Amazon. I'll buy some to print my Filofax pages. Thanks for all you do! You're welcome. Let me know how you get on.